You know, we really haven’t done a lot of sports anime, have we? Which is funny since there’s like 100s of series that are all about sports. So, how about we go into shows that are about sports. Days is about Tsukushi, a student who doesn’t have any physical strength but is very smart. One night, a classmate of his invites him to play a match of soccer. It’s there that Tsukushi has finally realized his true potential. It’s a really good series, that shows a person getting over his struggles and becoming something greater. Now, let’s get on with the show with 8 Anime Like Days. After finding out that the school’s anime group has been disbanded, Sakamichi Onoda takes it upon himself to bring it back. However, it does not go as well as he hopes and he decides to ride his old bike for a trip he used to do when he was little. 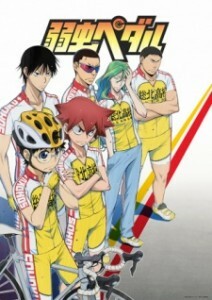 By doing so, he gets the attention of a fellow classmate named Shunsuke Imaizumi, who challenges Sakamichi to a race. Where it such led Sakamichi to the world of bicycle racing. A great series with an inspirational theme about friendship and overcoming the odds. Don’t miss this show. 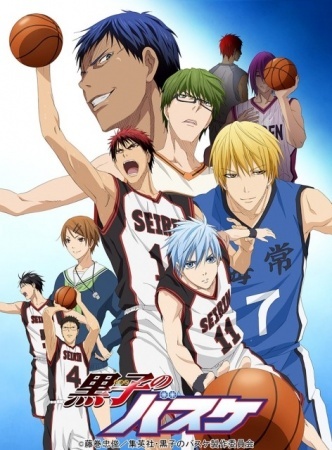 The show follows Tetsuya Kuroko, one of the Teikou Junior High School’s basketball players, who’s team was crowned champion three years in a row. He joins the Seirin High School basketball team where he meets Taiga Kagami, a promising player returning from the United States. They will take on other High School teams, of who some of them have other players from the Teikou Junior High School team. This is a very entertaining anime, that got the thrills to give you chills. 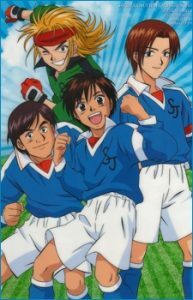 Becoming a professional soccer player is Kazamatsuri Shou’s dream, however, he’s not very good at it. After transferring from one junior high school to another, he’s able to join a soccer team and gets to play in it. And with the help of his teammates and hard work, Kazamtsuri will become one of the best players on the team. This anime is for the true soccer fans out and anyone else who is thinking of getting into the sport. In junior high school, Ren Mihashi was the pitcher for a baseball team but was very bad at it to the point where his team kept losing. With very little self-esteem, he wants nothing to do with the sport when he enters high school but it would seem fate has other plans for him. 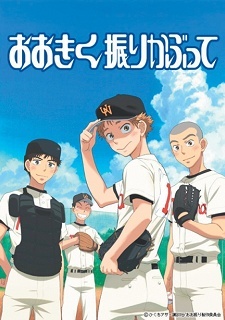 With the help of the catcher Takaya Abe, Ren builds himself up and starts to become a better pitcher than he ever has been before. It’s a great series, that you wish there were more episodes. A definite must watch. Being constantly bullied is a nightmare but for Shen, it’s another day at High School. Although, it seems like a walk in the park for Shen with his incredible speed and agility. He catches the attention of Hiruma, captain of the school’s American football team. 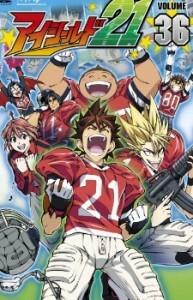 Hiruma recruits Shen to play for the school’s team and also to protect Shen’s identity, he gives him a visored helmet and the nickname Eyeshield 21. It’s a really good series and for those who wants to ease their way into anime, this is a good start for you. After his volleyball team was defeated at the tournament, Shouyou Hinata vows to beat his rival Tobio Kageyama the next time they play against each other at volleyball. He may get his wish when Hinata joins the high school, as well as Kageyama but Hinata may need to find his role on the team first. At the same time, Kageyama has his own problems to deal with and maybe if he and Hinata can work together, they can become one of the greatest duos on the team. 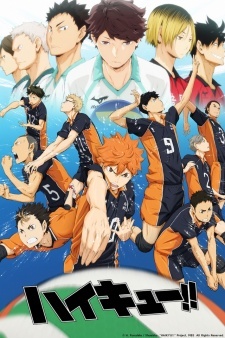 I personally love Haikyuu! to beyond the moon and back. It gives me great drama, sports action, and comedy in one package anime. Eiichirou Maruo decided that he wants to exercise and become healthier but it turns into something more than what he originally planned. While he was doing a free trial of tennis he meets Natsu Takasaki, who loves the sport and wants to become a professional tennis player. As Eiichirou starts to play, he becomes more fascinated with the sport and take things to another level. 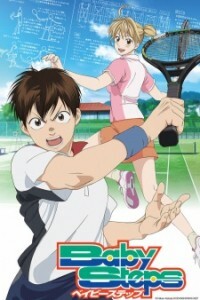 Baby Steps takes a very different approach on a sports anime and I enjoy what they did with it. You have to watch it if you are still on the fence about it. In hopes of becoming a professional soccer player and entering the world cup, Kakeru trains as hard as he can to get there one day. With the help of his childhood friend and the determination of surpassing his older brother, Kakeru has all the fuel he needs to become a great soccer player. This is a great underdog story, that many people can enjoy.